Gateway is the perfect mix of class and elegance, a traditional yet customizable home for your content. Reinforce your brand with a site logo, add a bold header image and call to action, and showcase your best posts or a video with a special Homepage template. Read on to find out how to make the most of Gateway‘s unique features. Abstract and decorative background images will work best as Custom Header images. The recommended header size for Gateway is 2560 pixels wide by 640 pixels high. If you choose Fixed format, the recommended header size for Gateway is 2560 pixels wide by 1000 pixels high. Note that on small screens, the image will be cropped, and not scaled down, to fit the available area. Use the Homepage template (seen in action on the Gateway demo site) to show off your best work with a bold headline, a call to action button, Featured Content, or a video. If you wish, assign the page a Featured Image to appear as a background to the header. If no Featured Image is assigned, the Custom Header Image will be used instead. Set the page as the Static Front Page. Now that the Homepage Template is active, navigate to the Customizer, in Theme Options → Homepage Template, to make the most of Gateway‘s features. The Homepage Template offers a video area. To feature a video, insert its URL to – either by uploading one to your site, or from a supported service (like Vimeo) – and add a description in the Video Content box. Gateway allows you to feature up to three Posts or Pages, by tagging them, and then entering that tag in the Featured Content area of the Customizer. 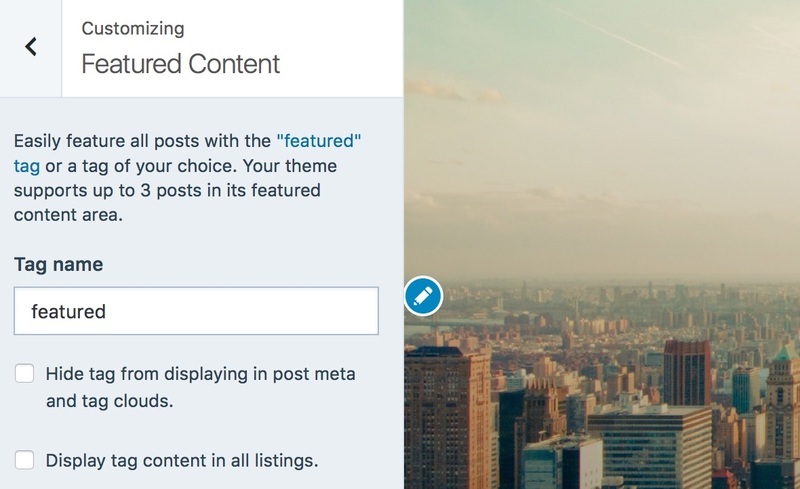 Any Featured Images assigned to these Posts or Pages will get displayed in the Featured Content area. If no tag is specified, the Homepage template will display your last three posts, excluding Sticky posts. Gateway allows you to create a button with customized text, that will direct the visitor to another web page or site, upon clicking it. You can visit the example page to see how it works. Replace http://example.com with the URL of your choice, and Button Text with what you want the button to say. 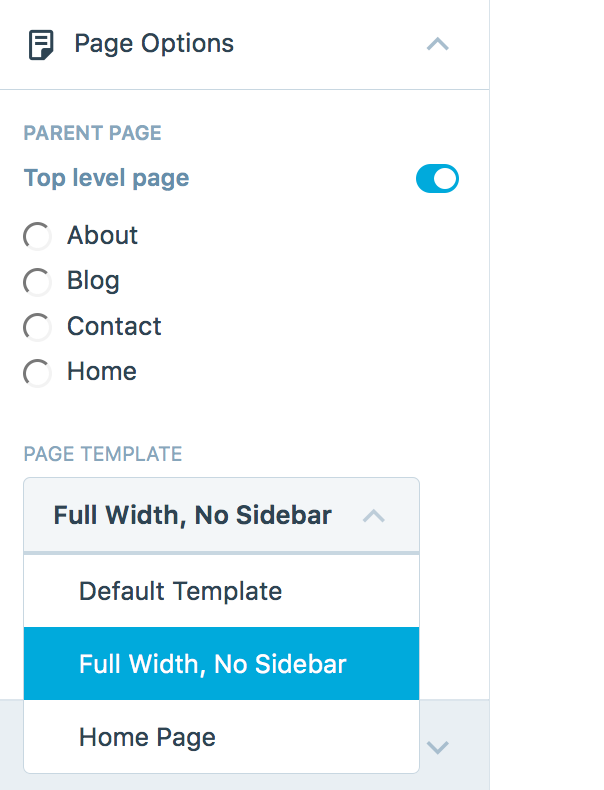 Gateway supports the Full-Width page template, when applied, the page will not feature a sidebar, as shown on this example page. The main column width is 748, or 1152 on the full-width page template. The sidebar width is 288. The footer widget area widths vary depending on the number of active columns and the width of your screen. The site logo has a maximum width of 500 and maximum height of 150. Recommended header size: 2560 pixels wide by 640pixels high when the Header Image Display is set to fixed, and 2560 pixels wide by 1000 pixels high when it’s set to scroll.